I have always disliked certain clichés; they seem to me to reduce the human experience. “What doesn’t kill you makes you stronger” is my least favorite, because honestly aren’t I strong enough God? Apparently not. My spiritual muscles were flexed once again, and yes I am now stronger than I was two months ago, but I still need the divine help of Angels. Back at work in the world of hospice I find that my compassion has deepened, not that I wasn’t compassionate before, but my empathy has developed to a new level. I speak of Angels coming for loved ones, that no one dies alone, that God truly does have a divine plan and that we are LOVED. These words flow feely off my lips without preaching, with only the intention of bringing comfort, to ease the pain, to rekindle the Hope that flickers in times of darkness, to touch the tender heart of the bereaved, to offer a breath of air when someone resurfaces from the turmoil of their circumstances. 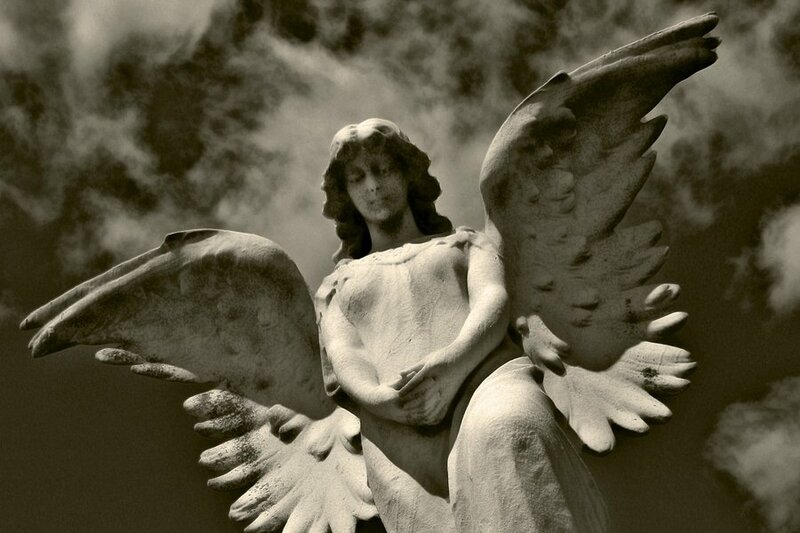 But I do not do this alone, I pray each morning for the Angels to accompany me in my work, I invite them into my life. This is not work to be done alone; it is a collaborative effort of human heart and Angelic compassion. I know I must ASK for help because the ANGELS are always available, but only if asked will they intercede. No task is beneath them, as often I ask for specific qualities in my Angelic companions, a pain management Angel, a bereavement specialist, even an enema Angel! When I need help, I ask. The Angels are ever available; I have read in Lorna Byrne’s works that there are even Unemployed Angels just waiting to help! How wonderful that there is such an abundance of Angels that every one of us can be divinely helped as long as we make the request! This entry was posted in spiritual and tagged Afterlife, Angel, angels, Death, divine protection, God, hospice, Lorna Byrne. Bookmark the permalink. I loved hearing about the unemployed angels too. Ever since hearing about them, I ask them for help when I see someone in need. I’ll usually add, “You’ve got a job!” It could be anything from helping a cat to get across a busy road safely to being there for the person in the ambulance going by. It’s so good to know that we can help just by saying even a quick prayer and that angels will be there. I admire the work you’re doing in the hospice, and I’m so glad the angels are there to hold you up too. My empathy has grown a hundred fold since July 2014, when I became a “patient safety observer” for the Meridian Healthcare system. Before I started working as a patient observer I was a respiratory therapist for fourty one years. I retired as a therapist in September 2013. I was always empathetic toward patients but now in my new position at Meridian, I have found a new level of empathy which I never felt before. When I hear the stories of some people and what they have endured in their lives, it is a wonder to me how they even find the emotional and spiritual strength to simply get out of bed in the morning. Now in my own life, the only prayer that I pray each day, is one of extreme gratitude for the life that I have been given.